Charles Sturt University is one of Australia's leading educators in the grape and wine sciences. Knowledge and expertise derived from our research is rapidly integrated into CSU courses, which train the next cohort of industry professionals. Charles Sturt University courses can prepare you for career opportunities in all facets of the wine industry, from grape growing and wine making to management and marketing of wine businesses or research into grape or wine production methods. Scientific study is complemented by practical education in industry settings. 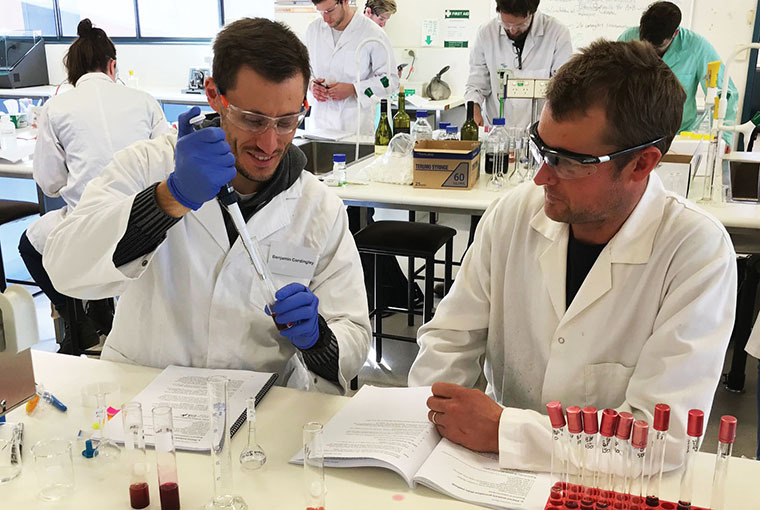 The National Wine and Grape Industry Centre offers research training opportunities through CSU Higher Degree by Research programs. The National Wine & Grape Industry Centre conducts research in collaboration with other CSU research centres and with the support of the Research Office. Training on a variety of subjects is provided by our partner Department of Primary Industries NSW.